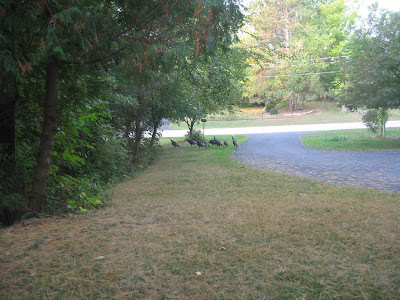 This morning you spotted some turkeys in our front yard. You were screaming at them to go away. By the time I got my camera they were doing as you told them. This is too funny - he must have meant business!